Since IndyCar at Circuit of The Americas for the first time gave us a reason to celebrate—as if we need much of one, anyway—your fellow Jalopnik readers, writers, IndyCar fans, drivers and others met up at a bar in Austin on Saturday night. There were drinks. There was free stuff. 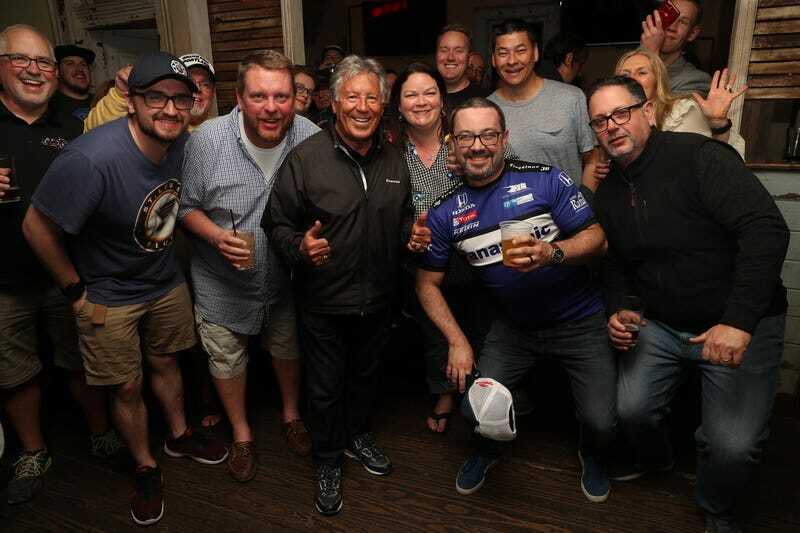 Mario Andretti attended. And, because people are narcissistic creatures who cannot wait to see pictures of themselves online after they’re taken, we have plenty of photos. You might even recognize some of the drivers and other big IndyCar names in them. Thanks to all who came to hang out with us, and if you missed this one, we’ll be around some other time.